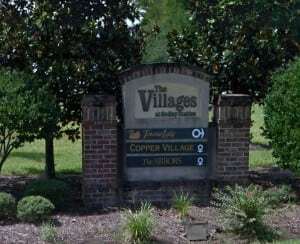 The Village at Godley Station is a master-planned community in Pooler Georgia made up of several smaller planned subdivisions – Copper Village, Towne Lake and the Arbors. Copper Village is a well-established subdivision featuring numerous homes from 1400 ft.² to 2400 ft.² starting at about $220,000. 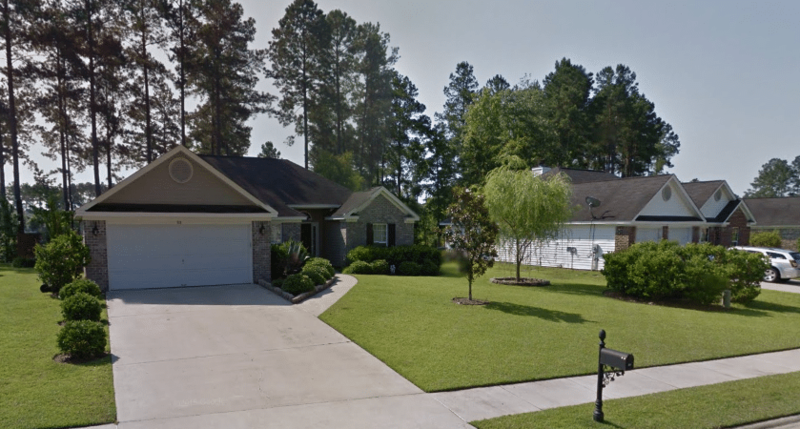 This community is located in Chatham County and includes over 25 acres of community amenities including a 5000 ft.² clubhouse, playground equipment, tennis courts, a fitness center, a junior size Olympic pool, and kiddie pool as well as walking and jogging trails. The homes come in one or two story floor plans and a good range of lot sizes. Towne Lake is also a part of the Villages at Godley Station and features well-established homes, numerous amenities, and beautiful lots. Nestled among established pine trees and landscaping, Towne Lake homes were built by award-winning builders including Title Construction, Robertson Construction and numerous other local and national homebuilders. These homes are built-to-order and are all custom designed including a variety of amenities, features, and fixtures. This is one of the most popular and fastest-growing communities throughout the Pooler and Savannah area. Residents of Towne Lake enjoy the amenities of green space, privacy, playgrounds and a close and convenient access to daily necessities such as the Walmart supercenter, Sam’s Club and local restaurants and shops. The Arbors, also known as the Arbors Circle or the Arbors Village, is a master-planned lifestyle community, which offers value, quality, and affordability among tree-lined streets and beautiful amenities. The Village Park is close by with the clubhouse and fitness center as well as numerous hiking trails, biking paths, and lighted roadways. The Arbors offers a variety of home styles typically with one or two story floor plans, one or two car garages and in sizes from 1500 ft.² to 2300 ft.². 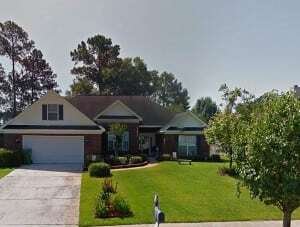 These homes were built by a variety of homebuilders including Jerry C Wardlaw Construction and Hallmark Custom Homes. These home start at about $220,000 and are similar in style to Copper Village homes. The Arbors is a small community located inside The Villages at Godly Station located in Pooler Georgia. This community along with Copper Village, offer affordable homes, a wide variety of amenities and a convenient location just minutes to downtown Pooler and about 25 minutes from Savannah. The Mulberry is a four bedroom, two and one-half bath, two-story home with a two-car garage and about 2700 ft.² of living space. It originally sold for around $235,000. The Dogwood is a two-story home with four bedrooms and 2.5 bathrooms, 2435 ft.² and a two-car garage originally priced at about $225,000. The Mimosa is a two-story home with a two-car garage, four bedrooms and 2.5 bathrooms with 2785 ft.² originally priced at $231,000. The White Oak is a one-story home with about 1816 ft.² of living space, three bedrooms and two full baths with a two-car garage originally priced at $206,000. Today, all of these homes have been built out and sold. Resale homes are available between $250,000 and $400,000. Residents have use of the community amenities such as a relaxing and fun swimming pool, multiple tennis courts and a clubhouse. The clubhouse features 5000 ft.² of meeting space and is ideal for parties, gatherings, get-togethers and reunions. It also features a fitness center, full-service kitchen and parlor area. Residents also have the use of the kiddie pool and children’s play area. Fitness areas include tennis courts, volleyball courts, basketball courts and a variety of hiking and biking trails. These homes were built by Jerry C Wardlaw construction, also known as the Carolina Collection. Other construction companies included Hallmark Custom Homes. Many of these homes have practical and useful outdoor living spaces and may include a backyard fire pit, fireplace or covered patio. Residents of the Arbors pay monthly homeowners dues of around $85-$100 per month. (Fees may have changed since the publishing of this post).This covers all common area maintenance, road maintenance, and management services. Residents are just a short few minutes to shopping, work, and local schools. Residents utilize the Godly Station Elementary, the Godly Station Middle, and the New Hampstead High School. All homes at the Villages at Godley Station require monthly homeowners association dues, which vary depending on the location and style of home. These homes are located in the Pooler School District with phenomenal new schools including the Godly K-8 and the New Hempstead High School. For more information on the homes and real estate currently for sale at the Villages at Godley Station or surrounding homes and similar price ranges please feel free to give me a call at any time. Vernonburg is a small town south of Savannah located in Chatham County Georgia. It’s a small, attractive residential village with large homes and beautifully landscaped gardens. It’s considered part of the Savannah Metropolitan area. First settled by German craftsmen in the mid-18th century, Vernonburg was incorporated in 1866 and by the early 19th century the town was a great little summer community for wealthy residents of Savannah. It’s just 10 miles from downtown Savannah and is a more quieter, residential community along the banks of the Vernon River. It is bordered by the neighborhoods of Windsor Forest, Southside and Paradise Park. Vernonburg residents still have a Savannah address. The homes for sale sit along the Vernon River and are priced from about $400,000-$4 million. These large estates are some of the most exquisite and all of the Savannah area. Due to the low population in this area however, there are only about 2 to 10 properties for sale at any given time. Vernonburg stretches from White Bluff Road to the Vernon River. Lots are also available for custom building along the river and many homes boast a dock and boating abilities. Larger estates can range over $2 million or more and typically will have over 5000 ft.² and multiple acres. You’re likely to find stately homes, luxury waterfront property and homes that include guest houses, multiple garages, and exterior amenities such as sports courts, garden, mother-in-law homes, porches, patios and luxury interior fixtures. For more information on the homes and real estate in Vernonburg or to view any of the properties for sale please contact my office. I would love to personally show you any of the homes for sale in the area or send you a customized list of similar properties that meet your search criteria and price throughout the Savannah Georgia area. Habersham Plantation is located south of downtown Savannah just south of Hwy 204 and Georgetown and prides itself on a peaceful and private 55 and older community for adults. Close to the river, this is a great place for those that are looking for spacious estate home sites and great recreation. Nestled on the Grove River, Habersham Plantation is a collection of custom homebuilders with large estate style lots and homes built by the areas leading custom homebuilders. The city and the plantation in general takes great care in keeping the pristine nature of the area so that people can enjoy this environment for years to come. Habersham Plantation offers three types of properties: Lakefront, Lakeview, or lake access. Having a lakefront home means you are right on the water. Your property borders the lake so you can get up each morning and dip your toes right in the water out in front of your home. A Lakeview home offers stunning views of the lake even if your home does not border the lake or river itself. Water access properties have easy access to the lake or river but it might be a short walk or drive. Whether you are building your home and looking for the perfect home site or looking for an existing home in this community, Habersham Plantation offers both at a variety of prices. Lodz and parcels of land started about $50,000 depending on the size. There’s larger lots of over three or 4 acres available so finding that perfect privacy is well within your reach. Habersham Plantation is about 15 minutes up Grove Point Road to shops, restaurants, attractions and local events in downtown Savannah and Georgetown. Markets and daily necessities are also within close proximity although it is within driving distance and not a comfortable walk. Grove Point Road dead ends about a mile south of Habersham Plantation entrance so there is very little traffic to deal with and most off-shoots of Grove Point such as Grove Point Island Rd and Shore Rd also end at the river. Several of the newer homes or existing homes range in price from $400,000 to over $1 million depending on condition and design. If you are interested in learning more about this highly sought after community just south of Savannah, please call me anytime. I would love to personally show you around the Habersham Plantation.